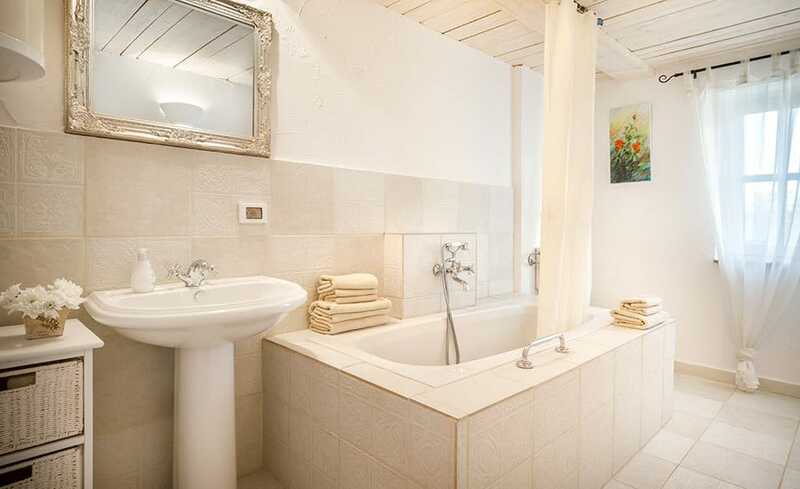 Villa Rupeni Istria is located in a tiny village, just 15 km away from Porec and the sea. Surrounded by stone wall, our villa is very secluded, and it offers lots of privacy. There is over 1000 m2 of landscaped garden including a 30 m2 swimming pool. Village consists of less than dozen of houses with just few of them being permanently inhabited. You'll love villa's rural location, and peace and quiet it provides. 5 Location: How to find us? 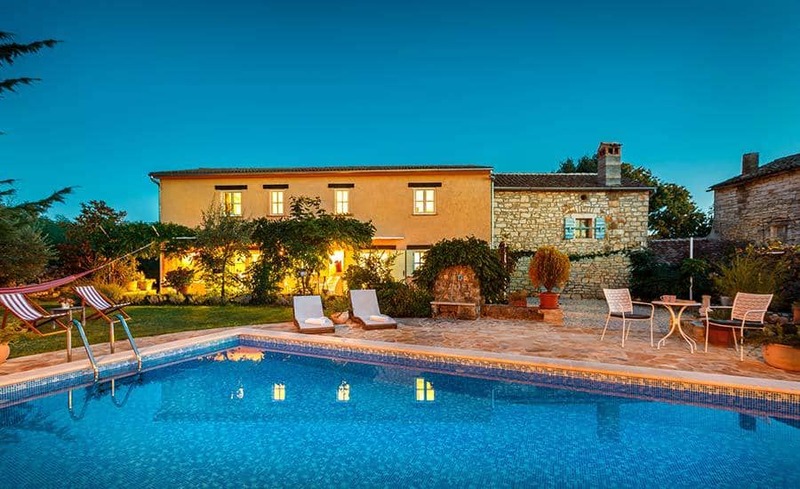 Villa Rupeni Istria is a 3-bedroom villa set at the edge of a tiny Istrian village, just 15-minute drive from downtown Porec, and a 25-minute drive from lovely Rovinj. 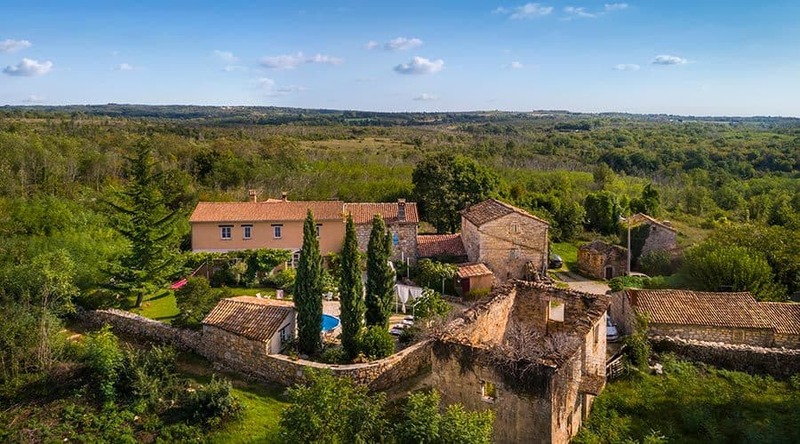 Surrounded by stone wall, our villa offers a complete privacy, and a tranquility away from hustle and bustle, but yet close enough to Porec, Rovinj, and major Istrian attractions. 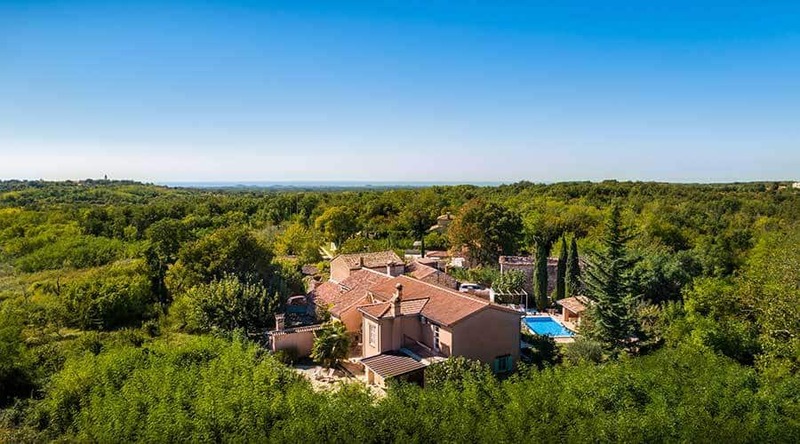 This lovely house has a surface of 170 m2, with almost 1.000 m2 of land. 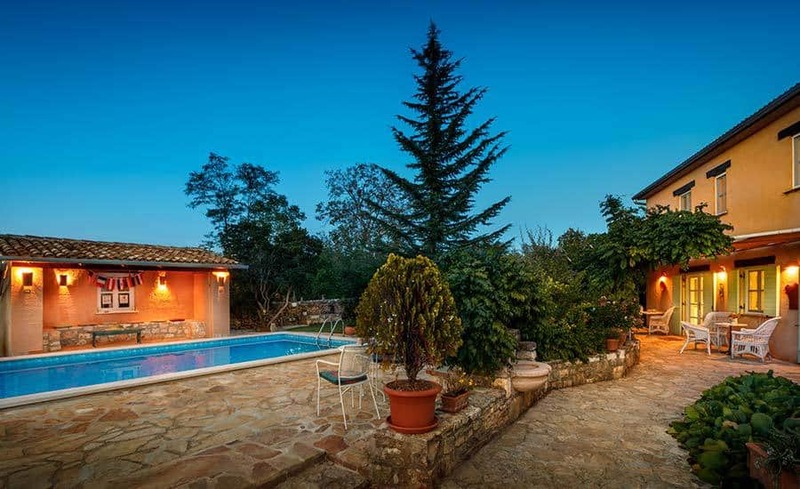 The highlights of Villa Rupeni is its secluded location, wonderfully landscaped garden, and a 30 m2 swimming pool. The house consists of two floors: ground floor and first floor. On the ground floor, you'll find an open-plan living and dining room, and a fully equipped kitchen. There is also a bedroom and a full bathroom at the ground floor. The first floor consists of two large bedrooms (32 m2, and 25 m2), each with its own en-suite bathroom. There is a nice porch at the front of the villa, with garden furniture. The porch is shaded by greenery, and offers a view over the garden and a swimming pool. In the back of the house, you'll find a covered terrace with BBQ, outside sink with plenty of counter space, and a dining area with a set of table and chairs for dining al fresco. There is also a private terrace with lounge chairs with a direct access to the ground floor bedroom. The pool is 30 m2. There is a small covered terrace near the pool with a stone bench and a table. We also provide comfy deck chairs for our guests. At the entrance there is a private parking. WiFi is available throughout a property. Prices shown above are for daily rental of a villa. VAT and residence taxes included. Prices are valid for a minimum stay of 6 nights. If you wish to stay less than six nights, please inquire about availability. Included in the price: bed linen (changed weekly), T-towels, bathroom towels (changed weekly), pool towels (changed weekly), electricity and water consumption, kitchenware and tableware, cleaning after departure, and parking. 5% discount on the second week, and 10% discount on the third week. Deposit: 30% deposit at the moment of booking. The balance is paid on arrival. Cancellation: Deposit is always non-refundable. Arrival time: If the house is vacant immediately before or after your stay you are free to arrive and leave at your leisure within the day. If we have bookings, we ask that you don’t arrive before 3 pm and that you leave before 10 am (so we have time to prepare the house for our next guests). We will let you know what the situation is before you arrive. Safety deposit: A €300 damage deposit is payable on arrival and will be returned to you on leaving, after the property is checked. If you prefer to rent through third-party website, you can also find us on AirBnB, and Homeaway. Location: How to find us? If you are coming by Istrian highway – Ypsilon, take exit Baderna. Follow signs for Baderna/Pazin. Once you pass the village of Baderna, you'll see a left turn sign for Rupeni. You take it. This small village road is not asphalted, just drive on the road for about 1 km; when you come to the only small crossing, keep on right. Continue on this tiny road until you reach the village. We're the last house in the village. If you aren't coming with highway, bear in mind that we are on the main road Porec – Pazin. Once you pass Baderna (direction Porec) you look for Rupeni sign and turn left; if you are coming from direction Pazin, a right turn for Rupeni is less than kilometer before you reach Baderna. Hurry up! Get in touch! Please, fill the form below.